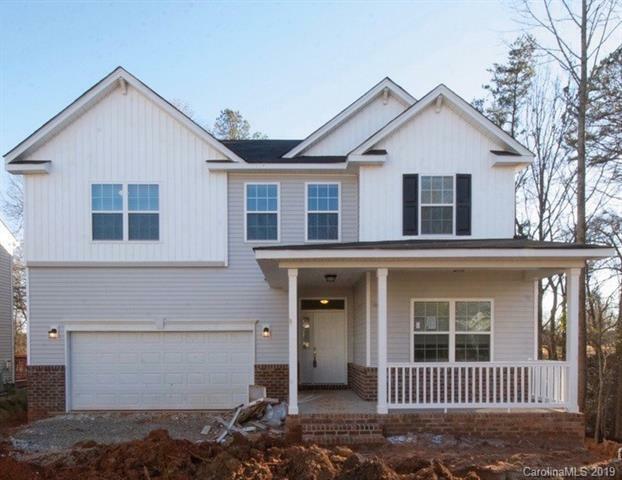 New Construction- be the first to live in this beautiful home! This spacious open floor plan includes 5 bedrooms, 3 bathrooms, a nice-sized, upgraded kitchen with island/breakfast bar, granite countertops, pantry, stainless steel appliances (including a refrigerator!) and subway tile backsplash. The cabinets also feature soft-close doors and drawers. Kitchen opens up to a large dining and living space. The main level flooring is 100% waterproof luxury vinyl plank. Spacious bedroom located on main floor with large closet. Second floor includes the grand owners suite -- the bedroom features a tray ceiling and large walk-in closet and the bathroom has a garden tub and walk-in shower. Three additional bedrooms, laundry and third full bathroom complete the upper level. Offered by Southcrest Llc. Copyright 2019 Carolina Multiple Listing Services. All rights reserved.